Experience an auto-adjusting, non-invasive, thermal skin procedure that is the first of its kind from Dr. Kami Parsa in Beverly Hills. The InMode Forma is designed to stimulate deep and uniform tissue and produces instant contraction. Patients who need a fast and effective procedure for rejuvenation will benefit from zero downtime when Dr. Parsa uses the InMode Forma as a treatment option to reduce wrinkles and stretch marks. The technology that the InMode Forma employs is radio frequency power flow. The tool ensures a comfortable experience for the patient by controlling the power flow between electrodes so it is distributed evenly. Temperature sensors can detect when the skin has reached the desired temperature, at which point the unprecedented safety elements built into the InMode Forma reduce the RF energy. 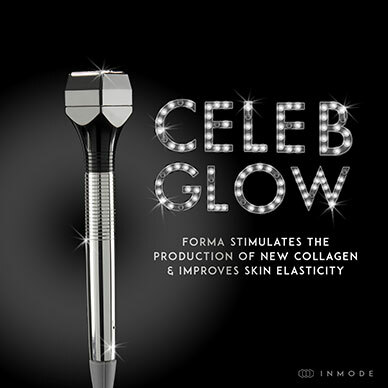 The InMode Forma is proven to produce exceptional skin tightening results for most patients. Dr. Parsa can use the InMode Forma to treat patients who are searching for non-invasive treatment options in Beverly Hills. If you would prefer to avoid surgery, Dr. Parsa can provide a one-on-one consultation to discuss the potential benefits of the InMode Forma for tightening your skin and giving you a more youthful look. His wealth of experience as an oculoplastic and reconstructive surgeon gives Dr. Kami Parsa a keen insight into the challenges that patients face when it comes to seeking rejuvenation treatments that don’t involve invasive surgery. At his Beverly Hills offices, Dr. Parsa can provide treatment using InMode Forma technology in comfort and relaxation, without the need to go under the knife. You will see immediate improvements if you are a viable candidate for Forma treatment from InMode. Contact our office today if you would like to arrange a private and confidential treatment with Dr. Kami Parsa in Beverly Hills. 2. How does Forma work? 3. Is Forma for me? It is recommended that weekly sessions are performed over a six-week period. Individuals with mild laxity may be treated in fewer sessions with more weeks between each treatment. Scheduling should be based on a medical preevaluation. 7. Can this be used in combination with other treatments? 8. What is fractotal facial?